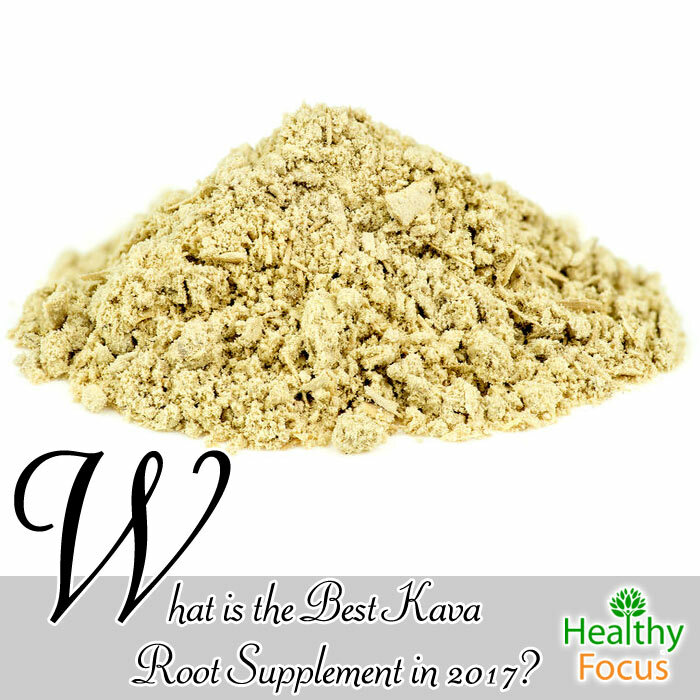 What is the Best Kava Root Supplement in 2017? I am sure that by now, you have all heard of kava root and its many potential benefits. You may have heard that it is used as a legal high and that is true but it is as a natural remedy for stress, anxiety and sleep that kava really comes into its own. The use of kava which is also called kava-kava, is becoming more mainstream as more and more people experience its benefits. You may have already tried kava or you are thinking of trying it for the first time. Kava is available in many different forms and the root is commonly prepared as a tea, capsule or powder. This article will focus on the best available kava root supplements, help you decide and provide you with information about individual supplements. Kava is a traditional type of tea made from the roots of the kava plant which is native to the islands of the South Pacific. A tea prepared from the root has been drunk by the islanders for hundreds of years before it became popular in the West. Kava has incredible calming effects on the mind and according to research is able to alter brain waves in a manner not unlike anti-anxiety medications such as diazepam. While kava was traditionally used in the Pacific for ceremonial reasons, these days it is more commonly used to treat anxiety, aid sleep and even to ‘break the ice’ at parties. What are the Benefits of Kava Root Supplements? Perhaps the best known and most common use of kava is to naturally relieve anxiety. Because of its ability to reduce inhibitions, it is well-placed as a natural alternative to more powerful anti-anxiety medication. It has also been very well-researched and over 20 clinical studies have been done into the effectiveness of kava in easing the symptoms of anxiety. Many people suffer badly from stress which can have far-reaching effects on a person’s emotional and physical well-being. Stress is linked to an increased risk of many serious illneses including heart disease and cancer. Kava root can help relax your mind in a natural way without the risk of adverse side effects that come with prescription medications. Kava can help you overcome a sleep disorder or simply help you get a better night of sleep. It does not actually make you feel sleepy like some other supplements or sleep medications. It works by putting your mind at rest and putting you in a state more receptive to sleep. This is good news for those of you familiar with the mind working over time all night. While kava root is best known for its calming and relaxing properties, it can also help relieve pain. Many people have found it especially useful in treating muscle aches and joint pain caused by rheumatism. Although it does not possess and anti-inflammatory properties, people swear by its ability to naturally relieve pain. Kava root is used as a social aid and can help people who are shy iand anxious in social situations. It is also used as an aphrodisiac and sometimes as a legal high. Kava root supplements are usually available in either liquid or capsule form. Kava in liquid is typically digested and absorbed more quickly in the body, however you may prefer to take a convenient capsule which is free of taste. Which form you take will come down to your own personal preferences but it is very important that you get your supplements from a respected supplier. What are the Best Kava Root Supplements? Now that you know a little more about kava root, we can explore the best supplements available in today’s market. We have limited this article to what we feel are the best 5 brands but there are many more available and the list of manufacturer’s is continuing to grow. This kava product by Bulksupplements provides you with 100 grams of powdered kava root extract. Reviews for the product have been very good with many users impressed with the results. It is especially effective in calming down the mind and also easing muscle tension throughout the body. It has also been laboratory tested to guarantee purity. The powder comes in a factory sealed zip pouch for ease of use. Effectively calms the mind and eases tension in the body. 100 grams of clean and pure kava extract in a powdered form. Laboratory tested by a third party to guarantee purity. Gluten, sugar and dairy free and suitable for vegans. This product is slightly expensive compared to some of its rivals. Has been known to cause drowsiness in some users. These kava supplements from Now offer 250 mg of kava in capsule form. The reviews from users have been excellent and most claim that these supplements instill a feeling of calm without any drowsiness. They can also help relieve pain and put a person in the right mind for a good night of sleep. They have also been independently lab tested for purity and are free of gluten and dairy. The 250 mg of kava extract is in easy to use and convenient capsule form. Users have found it effective in dealing with anxiety, pain and sleeping issues. This supplement does not cause drowsiness. When you buy this kava extract produced by Mood and Mind, you know you are getting premium quality. You will be buying one pound of kava extract in powdered derived from he pacific islands of Vanuatu and Tonga. The extract is sourced from the plant’s noble roots and contains a very high level of kavalactones. A pound of powder which should last a good amount of time. Good reviews with regard to its calming effects. A high concentration of kavalactones. Some users have claimed it had no effect. It has a very strong taste so you may need to flavor it to make it more palatable. This is another kava extract which comes in powdered form. The extract used the lateral roots of the plant and is harvested in Fiji. The majority of reviews are excellent and it provides most users with a feeling of calm and well-being. Some people have complained that the taste is very strong and have to flavor it with a sweetener like coconut milk. Another complaint is that the powder is not as fine as some of the other kava brands. Users like the fact that it comes in a 1 pound bag. Reviews are generally positive with regard to its calming effects. The taste and the kava smell is strong and puts many people off. Unlike the other products in this article, these capsules from Kavana supplements also include several other ingredients known to combat stress and anxiety. As well as kava root extract, these capsules contain 5-HTP, valerian root, magnesium chelate and L-theanine. Each bottle comes with 60 kava root capsules which are suitable for vegetarians. Users are generally pleased with the effects of these supplements on their stress and anxiety while they have also found that they promote a good night of sleep. As well as kava root extract, these capsules contain several other natural remedies for stress and anxiety. They are suitable for vegetarians. The capsules are easy to use and convenient to take. Some users have said they make them feel drowsy. When it is used in moderation, there appear to be no adverse side effects associated with the use of kava root and kava root supplements. There have been reports of adverse reactions but they have almost always involved using extremely high doses, long term use and poor quality products. To be safe, make sure that you always read the labels regarding dosages and speak to a qualified healthcare expert before you start using the supplement.